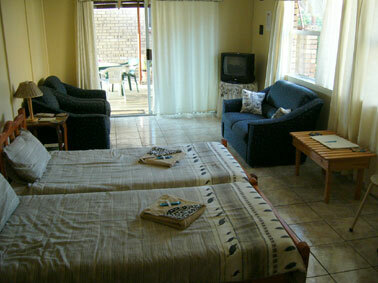 CorMarie is located in the quiet part of Graskop, only 2 minutes away from the centre of town. A town with nice restaurants (pancakes and much more), souvenier shops, super market and ATM machines. Run by a lovely family that will do their very best to make your stay comfortable as possible. If you need more information about things in this beautiful area, we will guide you to the right persons. CorMarie is only 2 minutes away from the centre of town. 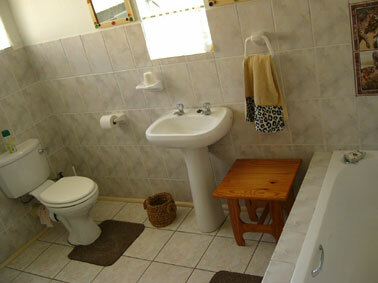 We have two lovely self catering units with a bathroom. The rooms are big, so besides the beds with good mattresses and nice linen, you also have space to sit on the comfertable couches and watch DSTV. Kids are more than welcome. 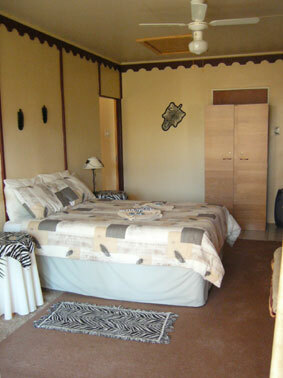 Nice decorated, clean rooms with nice linen. To relax or watch TV you can sit in one of the comfertable chairs. 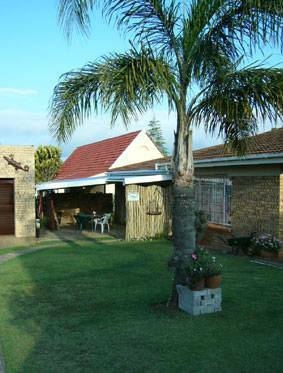 A nice terras makes that you can sit outside and have a BBQ (Braai) and enjoy the beautiful garden. Your car can be parked safe in our garden. 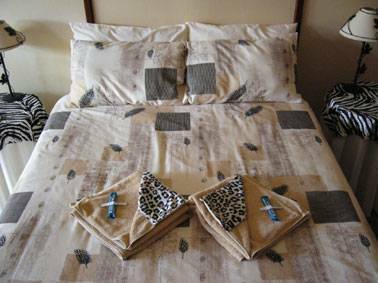 The village Hoedspruit is situated next to the border of the Kruger National Park. The village houses several rehabilitation centers for the wild animals. You can visit the white lions, the rhinos, learn about the reptiles or take a look at the cheetah project. The route to Hoedspruit takes you along side the Blyde River Nature Reserve. There are some amazing views up there, for example Mariepskop. If it gets to hot during the day, you can always go underground. Cool down and visit the Echo Caves with its many stalagmites and stalactites. The inhabitants of this cultural village still live according to their traditions. The inhabitants are the descendants of Chief Soshangana. Experience the dignity and pride with which the inhabitants honor their rich traditions. There are guides who will happily lead you through the village. Visit the Marula Market where you can buy hand made crafts. Or go to the musical night show where the inhabitants tell you the story about the Shangaan people and where you can taste their traditional food. The Swazi people are friendly and very proud of their country. And right they are! The Swazi had to fight for a long time to keep their land out of the hands of the British, the Boers and the Zulus. A visit to Swaziland is a welcome change during your stay in South Africa. Although Swaziland is still very traditional the country has developed in a skilled way. The hand made crafts are the best in the area. And you will definitely meet the big 5 in one of the Nature Parks. Besides all this Swaziland offers you many more! Hiking through the mountains, a climb to the top of Piggs Peak or a visit to Mbabane and Manzini are just one of these things. Drive to the centre of town into the main street, Louis Trichart street. This is the street with the pancake restaurants and souvenirs shops. Go into Oorwinnings street and drive al the way up the hill. When the tar road goes over into concrete, drive 15 meters further and you will see our house on the right hand side.